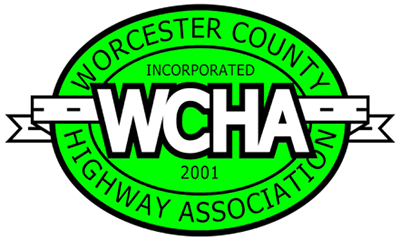 The Worcester County Highway Association is an organization comprised of the 60 CITIES & TOWNS within WORCESTER COUNTY MASSACHUSETTS. The membership is comprised of Public Works Directors, Highway Superintendents, Highway Surveyors, Engineers and many various Businesses that support the PUBLIC WORKS INDUSTRY. Members benefit from the fellowship and interaction among peers, receive updates about Federal and State PUBLIC WORKS programs, enjoy networking opportunities and the continuous exchange of new ideas, educational topics, equipment demonstrations, and training programs.